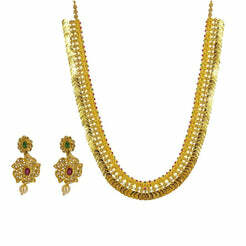 0.78CT Diamond Necklace & Earrings Set in 18K Yellow Gold W/ Red Ruby Eye Design for women. 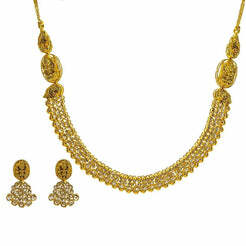 Earring and pendant frame is designed to resemble a feminine eye. 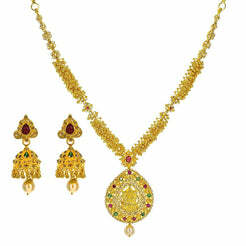 Central and stunning ruby stone is the highlight of this set and it is enclosed by brilliant diamonds. Occasional wear jewelry. Gold weight is 8.34 grams.